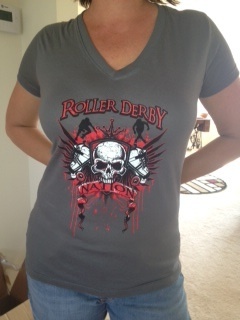 Rollin' News - World Wide Roller Derby News | Whats all this Roller Derby business? A skater I know who has a nonsexual skater name, Substance T of Alamo City Rollergirls also known as Tiana, was browsing the internet and found that people are doing dissertations on roller derby. The following quotes is what she found at this link. 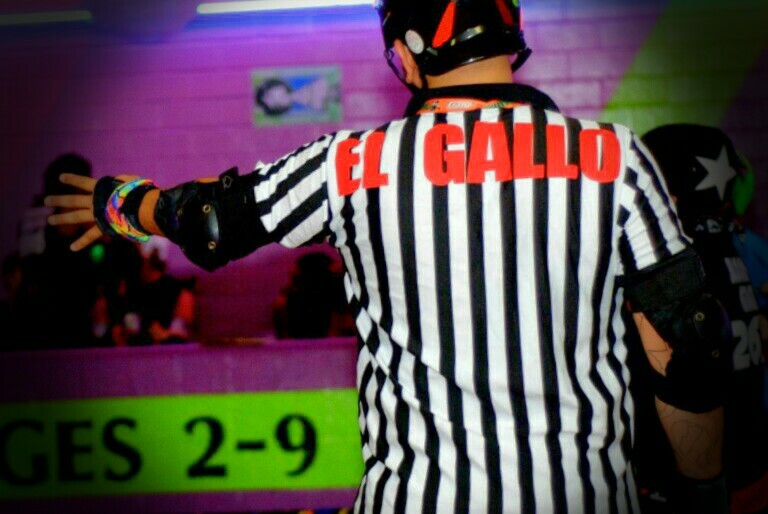 "Roller derby occupies a position of gendered alterity in relation to a broader cultural field of sport; seriousness is this context is a site of gender contestation" 1. Breeze, M., Analysing 'Seriousness' in Roller Derby: Speaking Critically with the Serious Leisure Perspective. Sociological Research Online, 2013. 18(4): p. 23. Now I am not an "avid" Facebook user, I check it about 3-5 times a day and only scroll until it starts to load some more posts. Then check my notifications or friend requests and then close it out. So my reply was within a few minutes of Tiana's posting and slightly shorter than what follows. "I beg to ADD, until derby takes itself seriously as well as skaters, derby will not be taken seriously. To clarify The baseball team in New York City are not called the "Big Apple Baseballist Club" they are the New York Yankees which refers to themselves as a TEAM not a League. The city name is NEW YORK not Big Apple, city that never sleeps etc. The team name is Yankees not Baseball players, americas favorite pastime gamers or anything that references baseball. The League is Major League Baseball. Every player on the New York Yankees is Identified by a TWO digit NUMERIC number. The Yankees only use a number no name. This alludes to no player is bigger than the team. American football uses a TWO digit NUMBER to identify the position of the player 1-19 is a quarterback, 20-49 running back, similar for lineman, linebackers, defensive backs et al. This is mainly to help referees in determining possible rules infractions such as ineligible receiver. American Football is also the only sport that has more numbers on players than derby (chest, back, sleeves, and helmet). In the case of derby you have skaters with pseudonyms quite often a sexual innuendo or sexual play on a phrase or celebrity name. Let us not forget the fact that many leagues have some skater with a variation on 6T9, 69, 60-nine, etc. The relevance is twofold one As a ref I'd prefer two digit NUMBERs and I meant to expand on the correlation between football and derby. The following is unnecessary but fans and refs might appreciate it. Have a series of numbers reserved for Jammers only, Blockers only, Pivots only, PBJs, BPs and the rare occasion of Jammer? Blockers, Jammer/Pivots. Two, derby is similar to football in the sense of having numbers on the sleeves and larger numbers on their back. Also numbers are allowed on helmet, hips and thighs-1 March 2014 WFTDA Rules 2.7.5.1, 2.7.5.2 "
"Yeah the article is really good if you have a chance to read it "analyzing seriousness in roller derby: critically speaking with the serious leisure perspective." The author covers many domains of how society defines something as serious and how or how not roller derby fits into that definition. Derby names and costumes are just one part of the big picture." "As a participant of many team sports growing up, I originally thought it was really fun that one could "change up" the "uniform" by wearing fishnets or doing costume like makeup, etc. It was a way that one could express their personality while they play. Now however, I realize that it really only detracts from the sport. I don't want you to remember me for my fishnets or for my makeup...I want you to remember me for the hit I made or the whip I gave. Plus, when I see those teams in head to toe uniforms (matching helmets and all) I think to myself "man, they look like a legit team" and after all this IS a TEAM sport." So sure TuTus, booty shorts and fishnets don't help the objectification, sexualization and lack of "seriousness" that outsiders view derby. But as I've pointed out there's more to it. How serious anyone who breathes NCAA March Madness, NASCAR and Fantasy Leagues would take derby, I'm not sure. If Derby as a whole wants to be serious maybe we should move towards the standards professional uniforms (matching tops AND bottoms and helmets) of Team USA, real last names and drop the theatrics. Do you have a link for the article being referenced?